In this review we prove that Nesdek is a new binary options scam. It is presented by Mike McDonald, the CFO of Nesdek Inc.
McDonald claims that his company developed the most powerful and most accurate trading tool in the world. It trades binary options. McDonalds says he made more than a million dollars last year with the Nesdek software. And you guessed it, nowadays all programs that can make you millionaire on autopilot are free, so Nesdek is free too. 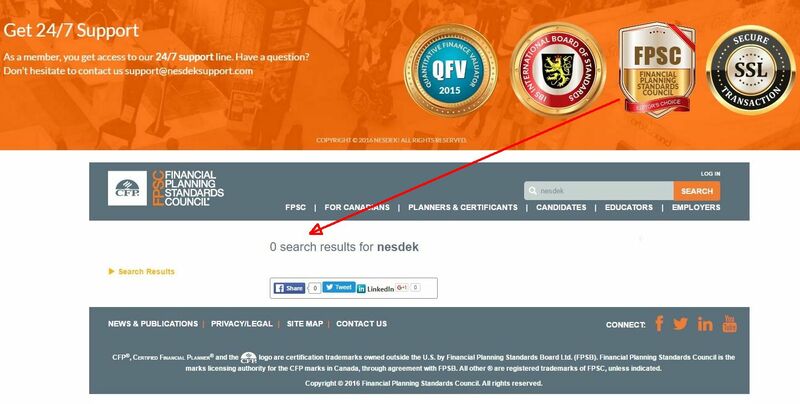 The truth is that a Nesdek Inc. developing trading software does not exist. Mike McDonald is a fictitious character played by an actor. So New York Times, Forbes and other media have never mentioned the Nesdek software. Because it in fact is just a recycled app used by binary options scammers only. In the Nesdek presentation you can see some trading account statements that are supposed to prove how much money current users make with Nesdek. But they are fake. 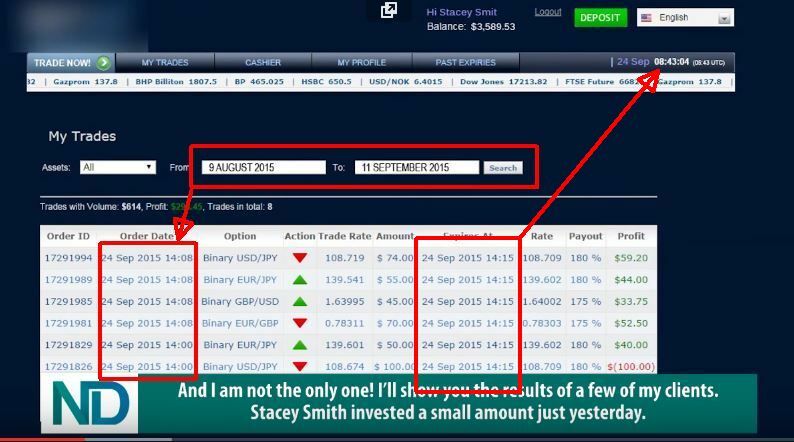 Look at the picture, dates do not correspond to the filter, but what’s more, the time of the platform shows that these binary options could not even have expired! On the Nesdek web site you can see some testimonials with alleged real users of the software. They all are fake. Look at the example on the image, this woman is a Fiverr actress and will endorse anything you ask her for five bucks. Not only Nesdek has never been mentioned in the media, but it also has never received any awards. The shown awards either don’t even exist or Nesdek didn’t get them. Check the picture to see a proof. As we have already mentioned, the Nesdek trading software is a fraudulent app used exclusively by scammers. Have a look at the picture at some examples of other binary options scams that are using it, The Money Glitch or the Alderley Code are just some of them. The reality is that people who created this scam make money by referring new depositors to an unregulated broker. So they made up their story just to convince you to deposit and trade with their broker. This is why their software can lose money, they will already have earned their affiliate commission on you when you realise you have been scammed. Nesdek is a poor scam that abuses binary options. The software loses money, so don’t trade with it. If you want to see how money can really be made in binary options trading, try a free demo account. There you will see what you have to learn if you want to achieve real profits.